NextEnergy has partnered with the US Department of Energy, US Department of Defense, automotive OEMs, and tier one suppliers on transportation programs focused on fuel cells, alternative fuels, electric vehicles and advancements in internal combustion engines. Current programs in vehicle electrification include market analysis, business model development, demonstration projects, and policy support in areas including energy storage, power electronics, and advanced charging concepts. 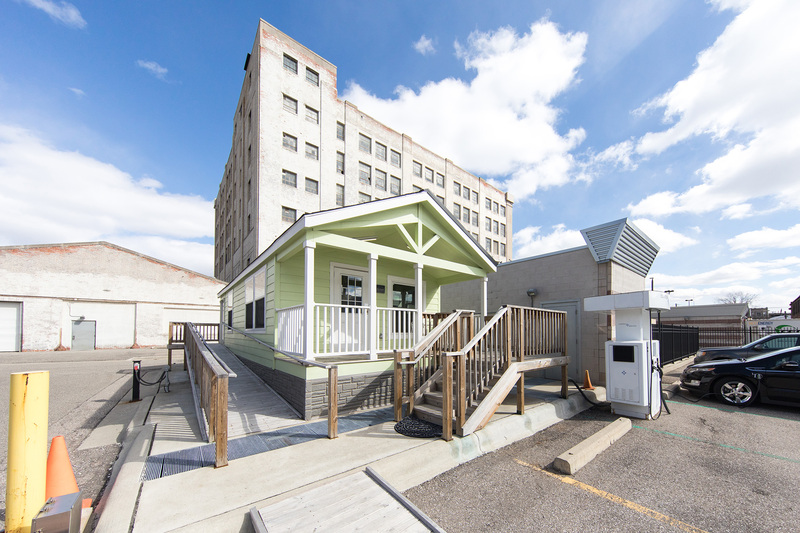 Both our microgrid and NextEnergy’s smart home platforms can be leveraged to support research, development and demonstration (RD&D) programs for both bi-directional and wireless charging technologies. NextEnergy has been testing and demonstrating advanced charging concepts since 2010, and is actively exploring next steps for higher levels of power transfer, bi-directional power transfer and wireless power transfer. We are currently evaluating opportunities to optimize software and communications between vehicle and the grid, demonstrate interoperability between different charging systems and explore the potential for renewable power integration. An electric vehicle can be viewed as an energy storage device on wheels, as well as a means of transportation. 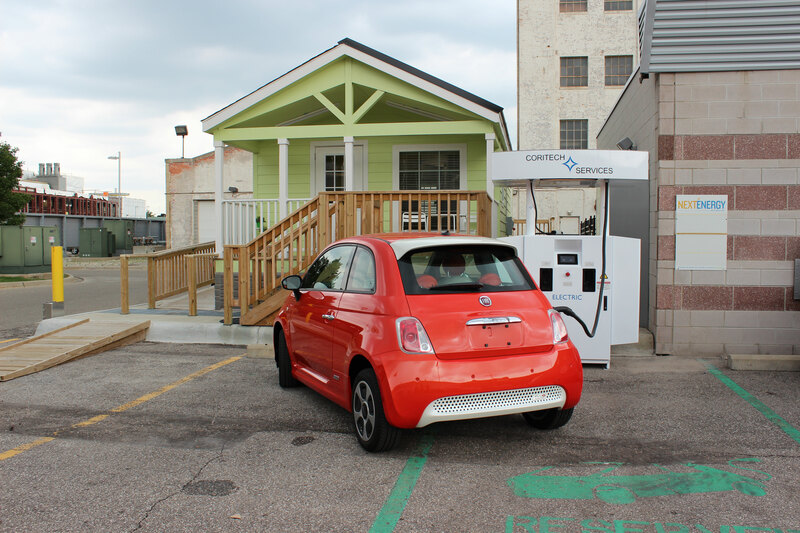 NextEnergy has been partnering with Chrysler LLC since 2011 to explore the possibilities of V2G Commerce, the idea that electric vehicle owners can benefit financially by selling power from the fully charged battery back to the grid. 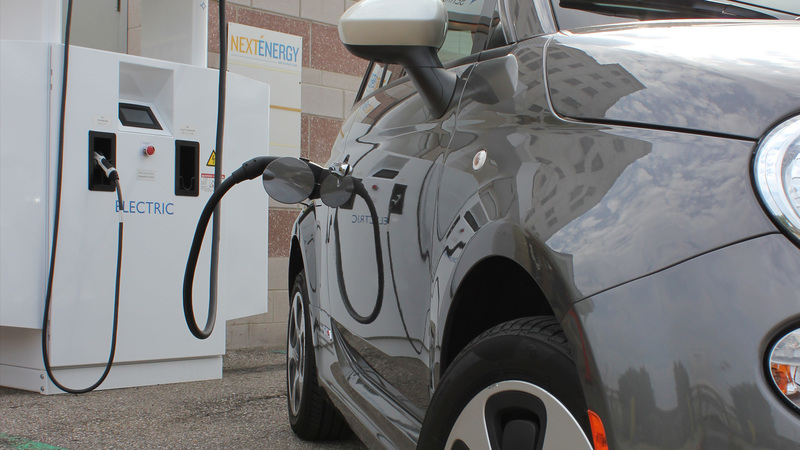 NextEnergy is exploring these concepts and utilizing its onsite infrastructure, developed to test and validate new technologies and systems for bi-directional vehicle charging. For more information, contact Tim Slusser at 313-833-0100 ext. 120 or tims@nextenergy.org.